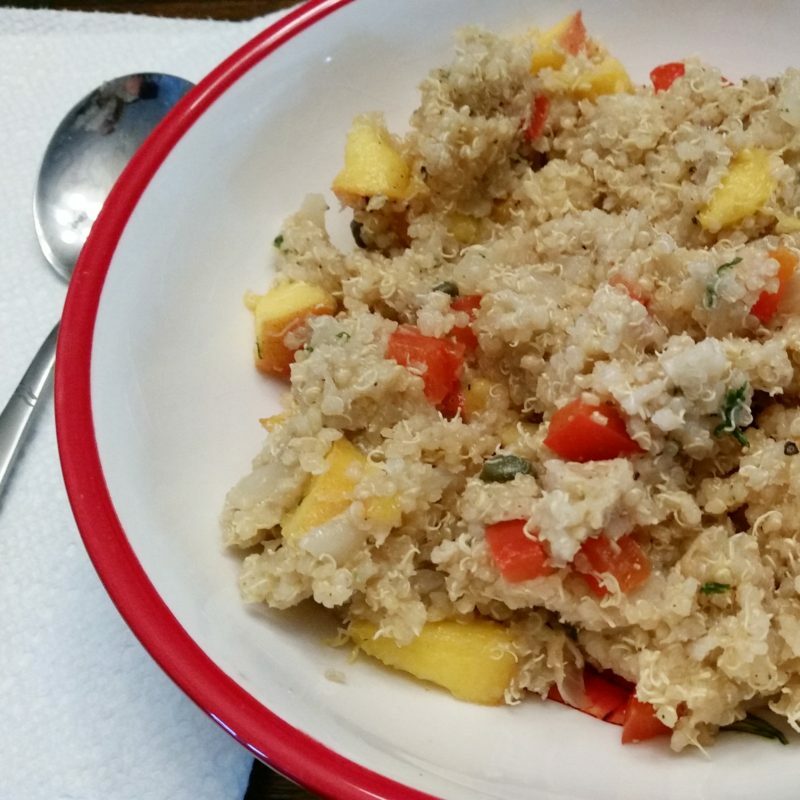 This summer quinoa salad is just peachy! It is best in August when peaches are perfectly ripe and at their prime. Soak sundried tomatoes in 1 cup hot water for at least 30 minutes until they are softened. Remove from water and finely chop. Heat 1 tbsp olive oil in frying pan on medium-high heat. Sautee onions, garlic and bell peppers until softened. Approx 8 minutes. Add pre-soaked and chopped sundried tomatoes. Add cumin and chili powder and sautee for 1-2 more minutes. In a large bowl mix the cooked quinoa with the remaining 2 tbsp olive oil, the sauteed veggies, and the chopped peaches. Enjoy as a side dish or a main! Store leftovers in the fridge for up to one week.